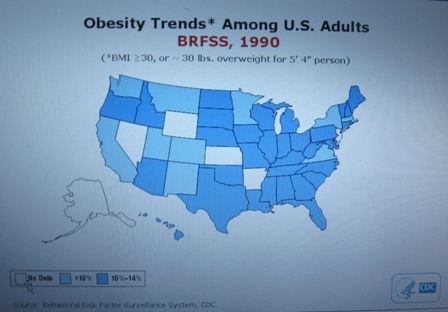 If there is one truism that trumps everything else these days about U.S. health, it’s that America is a chubby country that keeps getting fatter. The consequences seep into every corner of the nation’s medical state, including the surprising fact that obesity and the type 2 diabetes it causes are likely pushing up the incidence of liver cancer—hepatocellular carcinoma—to unprecedented heights. When I covered Digestive Disease Week in San Diego recently, one of the biggest stories I heard was that U.S. liver-cancer rates tripled from 1975-2007, and that the numbers continued to rise from the mid to the late 2000s. (My full report on this is here). Granted, factors other than just obesity play into the liver cancer surge, notably the sizable number of Americans infected with either hepatitis B or C virus, and the fact that as they age their risk for developing hepatocellular carcinoma rises. But new U.S. infections by hepatitis B and C are largely under control these days (although people infected elsewhere continue to emigrate to the United States). The part of the booming liver-cancer story that is by no means under control is the obesity part. 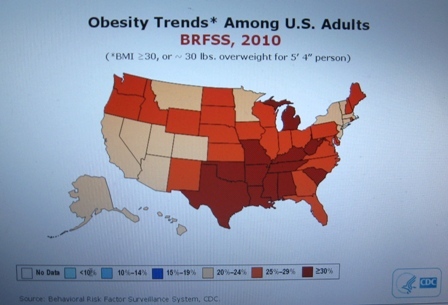 Every time I see a new CDC map for U.S. obesity prevalence, the colors on it keep getting redder and darker (the CDC’s code for higher prevalence rates). Earlier this year, the CDC reported a 36% obesity prevalence rate for the entire U.S. population–and still on the rise–and just a few weeks ago we heard that obesity among children and adolescents had hit a new high of 17%. With obesity seemingly on an unchanging upward trajectory, one can only wonder what rates of liver cancer it might produce in the future. Obesity carries a special relationship with the liver, and it’s not pretty. Just consider any goose headed to a foie-gras future. Until now, the evidence linking obesity and liver cancer, and type 2 diabetes and liver cancer has been epidemiologic. Compelling, but just an association. At DDW, a new study provided more observational data on the diabetes-liver cancer link, and while still circumstantial it further supports the notion and also carries an intriguing punchline. The study, done in Taiwan, examined 97,000 hepatocellular carcinoma patients and 195,000 matched controls. The analysis showed that people with diabetes had a two-fold increased risk for liver cancer compared with those without diabetes. Even more striking, the analysis also showed that people with diabetes treated with the oral hypoglycemic drug metformin had their risk for liver cancer cut in half compared with those not on metformin, and those with diabetes treated with a glitazone drug (such as pioglitazone–Actos) had their risk cut nearly in half. The best solution would be if people avoided obesity and type 2 diabetes all together. Both conditions cause a lot of medical problems, and this new evidence indicates more strongly than ever before that liver cancer is one of them. The current U.S. influenza seasonal epidemic, the mildest in years, is in its death throes, based on infection trends over the past several weeks, including the most recent data released on May 11 by the Centers for Disease Control and Prevention. During the week that ended on May 5, 13.7% of U.S. respiratory surveillance specimens tested positive for influenza, continuing the clear downhill slope of U.S, flu cases since this season’s U.S. epidemic peaked at 30% positive during the week of March 11-17. 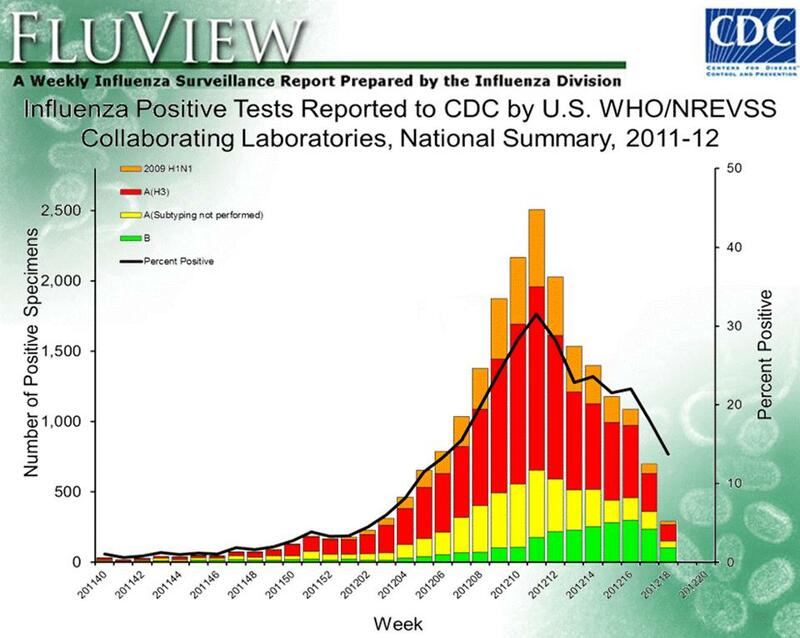 The CDC hasn’t yet declared the current, 2011-2012 flu-season’s epidemic, which started in late February, officially over—it can’t until the influenza-positive rate falls back below 10%–but the epidemic curve’s steep downward track (see graphic) is as well defined as the far side of L’Alpe d’Huez. With the current influenza epidemic nearly ended, the season’s numbers paint a decidedly benign picture. So far, 22 children have died from influenza; if that figure continues to grow as it has so far it will top out as the lowest since the CDC began collecting these data in 2004. Other markers of how mild the 2011-2012 season has been include the number of U.S. patients hospitalized for influenza, which sits below past seasons, and the proportion of deaths attributable to pneumonia or influenza has hovered below the epidemic threshold for that measure all season. During a winter and spring where the influenza world focused on mammalian-transmissible H5N1 flu, strains dubbed by some the “doomsday” virus, having such a mild seasonal flu season tossed at us can’t help but be seen as some ironic, natural-world prank. On a purely rationale basis, year-to-year variations in seasonal flu have nothing whatsoever to do with the looming danger from H5N1 flu, but with this infectious-disease juxtaposition I can’t help but imagine that somewhere, off in the distance, I hear a quiet, cosmic chortle. In stark contrast to most research that suggests senior year in high school or later is the peak time for misuse of prescription pain relievers, it is younger 16-year-olds who are the mostly likely to report their first use of these agents outside their intended prescription within the previous year, a new study finds. The time for physicians to identify risk and intervene is the young to middle teenage years, Elizabeth A. Meier, Ph.D., and her associates at Michigan State University in East Lansing reported. “With peak risk at age 16 years and a notable acceleration in risk between ages 13 and 14 years, any strict focus on college students or 12th graders might be an example of too little too late in the clinical practice sector and in public health work,” they wrote in the Archives of Pediatrics & Adolescent Medicine, published online May 7, 2012. “We suspect that many physicians, other prescribing clinicians, and public health professionals will share our surprise that for youth in the United States, the peak risk of starting extramedical use of prescription pain relievers occurs before the final year of high school [and] not during the post-secondary school years,” the authors wrote. Another reason to screen your young adolescent patients is the risk of hazardous consequences associated with prescription pain misuse, which is greatest during early adolescence, Dr. Meier and her colleagues noted. They assessed self-reported extramedical prescription pain reliever use among 119,877 U.S. teens and young adults (ages 12-21 years) using 2004-2008 data from the National Survey on Drug Use and Health (NSDUH). They calculated the highest risk estimate, 2.8%, at 16 years of age. This is an increase from 0.5% at 12 years; 0.7% at 13 years; 1.6% at 14 years; and 2.2% at 15 years. After the peak in mid-adolescence, risk dropped steadily by 0.3% or 0.4% each year, down to 1.1% among 21-year-olds. 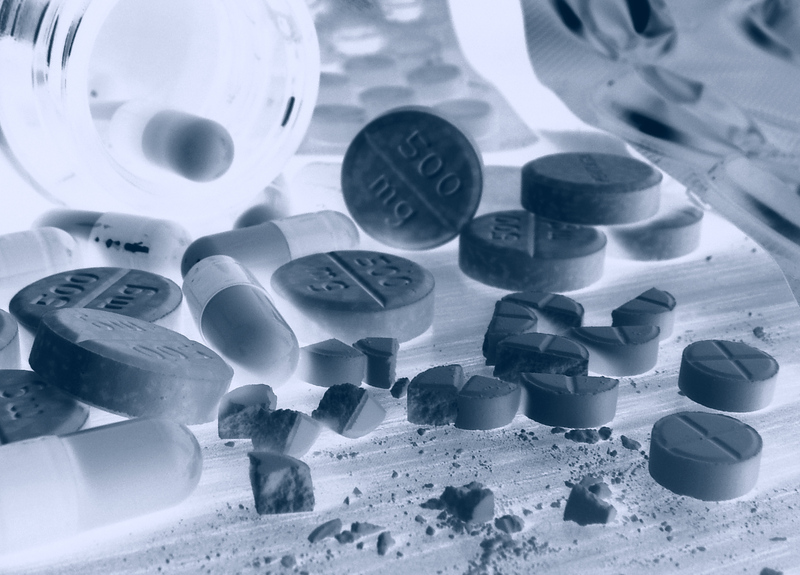 Reliance on self-reported misuse of prescription pain killers is a limitation of the study. A strong point of the research, however, was including adolescents and young adults regardless of whether they were still in school. Earlier and stronger school-based prevention and outreach programs are warranted, according to the researchers. There also is a distinct role and reason for pediatricians, dentists, and other clinicians to work toward misuse prevention in their practices, they added: roughly 15% of the youths surveyed were not in school during the peak time of risk. When researchers reported earlier this week at the American College of Cardiology’s annual meeting results from the TRA 2P-TIMI 50 trial, which tested a novel anticoagulant drug, vorapaxar, for preventing cardiovascular death, myocardial infarction (MI), and stroke in stable patients with cardiovascular disease, the results showed a questionable balance between benefit and bleeding risk that only looked good if you squinted and confined the analysis to patients with just a history of MI, no history of stroke, a body weight of at least 60 kg, and, ideally, those who were younger than 75 years old. Even within this pared-down universe, experts differed on whether vorapaxar had an unequivocal net benefit after taking into account the bleeding risk it caused. 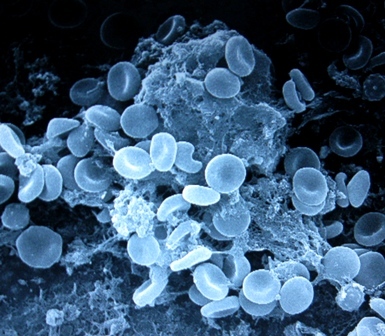 But if vorapaxar someday gets FDA approval and appears on the U.S. market, physicians will face the tricky calculus of how to use it compared with the other new, potent antithrombotic drugs. Looking at vorapaxar’s performance in patients with stable cardiovascular disease, it was hard not to recall last November’s report on the ATLAS ACS 2-TIMI 51 trial, which tested adding a 2.5 mg b.i.d. dosage of another new anticoagulant drug, rivaroxaban, in acute coronary syndrome (ACS) patients also treated with aspirin and clopidogrel. In ATLAS, adding this small dose of rivaroxaban led to benefit and a bleeding risk that was strikingly similar to the pattern seen with vorapaxar in TRA 2P. Rivaroxaban on top of aspirin and clopidogrel produced an absolute, 1.6% cut in the combined rate of cardiovascular death, MI, or stroke while boosting the rate of major bleeds by an absolute 1.2%, and the rate of intracranial bleeds by 0.2%. The new vorapaxar results showed that in the best-case subgroup, adding the drug to aspirin and clopidogrel cut cardiovascular death, MI, or stroke by an absolute 1.9%, while boosting major bleeds by 1.0% and intracranial hemorrhage by 0.2%. A big difference in the two analyses was that the benefits and risk seen with 2.5 mg rivaroxaban was in the entire study population of 5,100 patients, with no need to resort to subgroup analyses. The vorapaxar result was in about 9,500 patients, roughly 70% of all patients enrolled in the trial. Another big difference was the major impact of rivaroxaban was on cutting cardiovascular deaths. Vorapaxar’s main effect was to lower nonfatal MIs. It cut cardiovascular deaths too, but not as well as low-dose rivaroxaban. Many experts whom I spoke with at the meeting seemed confident that low-dose rivaroxaban is on track for FDA approval later this year for treating ACS patients. Whether Merck, the company developing vorapaxar, will seek FDA approval for its drug in stable patients based on the TRA 2P data remains to be seen. But while rivaroxaban won’t receive labeling for treating non-ACS patients, all that separates an ACS patient and a patient who is stable but with a history of prior MI is time; in fact, just a few weeks or months. The point at which an acute ACS patient becomes a stable, post-MI patient is pretty murky. Would anyone consider treating a stable, post-ACS patient with low-dose rivaroxaban? The labeling probably won’t cover it, but will the temptation be there? And the what-ifs don’t stop there. Both the low-dose rivaroxaban study and the vorapaxar study used aspirin and clopidogrel as standard, background treatment. But U.S. physicians are increasingly switching from clopidogrel to the newer, more potent antiplatelet drugs already on the market, prasugrel and ticagrelor, several experts told me at ACC. Putting a patient on prasugrel or ticagrelor plus aspirin will likely preclude any thought of also adding rivaroxaban, not to mention vorapaxar. These combinations have not been tested, and given the bleeding risks that these drugs pose individually, the idea of using them in combination is downright scary. After several years when clopidogrel plus aspirin reigned alone as the top treatment for preventing atherothrombotic events, the last few years brought a flurry of new agents. How these drugs compare and relate to each other, and how they are optimally used alone or in combination, will take several more years to sort out. What a difference a few years, and a new generation, has meant for the fortunes of drug-eluting coronary stents. In the late summer of 2006, at that year’s meeting of the European Society of Cardiology, the specter of stent thrombosis first rose around the drug eluting coronary stents of that era, the sirolimus- and paclitaxel-eluting devices. The concern led to an abrupt plunge in the use of drug-eluting stents, routine use of more prolonged dual antiplatelet therapy with aspirin and clopidogrel, and eventually the development and marketing of second-generation stents, which used new drugs—everolimus and zotarolimus—and new polymers to bind the drugs to the stent. Over the past couple of years, the second generation has given drug-eluting stents a renewed, more robust profile. And now, a new meta-analysis published online in The Lancet brings the best news so far for the new generation: the cobalt-chromium everloimus-eluting stent–marketed as both Xience V and Promus—fared significantly better than bare metal stents in their rates of stent thrombosis both 1 and 2 years after placement, and the cobalt-chromium everolimus-eluting stent also significantly surpassed all of its competition, both first- and other second-generation coronary stents. The Lancet article that described the meta-analysis, which included 49 trials with more than 50,000 patients, called the finding “a paradigm shift,” something that, if confirmed in a prospective trial, “would have profound clinical implications.” A drug-eluting coronary stent that’s actually substantially safer than a bare-metal stent for the important safety endpoint of stent thrombosis. Who would have thought it possible just a few years ago? The editorial accompanying the new analysis, by New Zealand cardiologists John Ormiston and Mark Webster, cautions that as a meta-analysis the finding can strictly be regarded as only hypothesis generating, but they also note that a head-to-head randomized comparison of the cobalt-chromium everolimus-eluting stent and a bare-metal stent for this endpoint is unlikely to ever happen. They also said that while the new finding was “unexpected,” the cobalt-chromium everolimus-eluting stent must now be “regarded as the standard against which future design improvements [in stent technology] are compared.” The “firestorm” about stent safety, first set ablaze 5.5 years ago at the ESC “is now barely smoldering,” they concluded. The authors of the meta-analysis said that the suggestion that this everolimus-eluting stent could actually best bare-metal stents for stent thrombosis first became plausible at last August’s ESC, in results from the EXAMINATION study, which compared the two stent types in about 1,500 acute myocardial infarction patients. The meta-analysis pooled results from two head-to-head comparisons of the cobalt-chromium everolimus-eluting stent against a bare-metal stent in a total of about 3,800 patients (including the EXAMINATION population), and found that the everolimus-eluting device cut the 1-year thrombosis rate by 86% and the 2-year rate by 65% compared with bare-metal stents. The cobalt-chromium everolimus-eluting model also significantly surpassed every other first- and second-generation drug-eluting stent for their 1-year rate of definite stent thrombosis. Hypothesis generating or not, it’s a result that cardiologists will find hard to ignore. In Charles Dickens’ tale, A Christmas Carol, miserly Ebenezer Scrooge has a change of heart after visits from three very persuasive spirits. 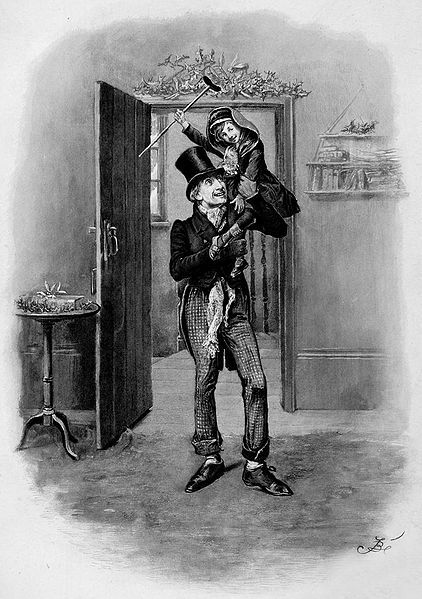 Among his charitable endeavors was to improve the health of Tiny Tim Cratchit, the crippled youngest son of Scrooge’s long-suffering clerk, Bob Cratchit. Tiny Tim’s condition is not fully described in the story, and has been the subject of speculation, since it was considered fatal (according to the Ghost of Christmas Present). In the current issue of the Archives of Pediatrics and Adolescent Medicine, Dr. Russell W. Chesney of the University of Tennessee Health Science Center in Memphis offers a diagnosis, based in part on what we know about environmental factors during the time when the story was set (London, 1820-1843). Dr. Chesney suggests that Tiny Tim had both rickets and tuberculosis. His odds of having rickets were fairly high, given the lack of sun exposure (due to coal-blackened skies and a tendency at the time for children of low-income families to work indoors in factories during daylight hours) and poor nutrition (due to Bob Cratchit’s meager salary). In addition, Dr. Chesney points out, pneumonia, upper respiratory infections, and TB are more common in those with vitamin D deficiency and rickets. Improving vitamin D status with better food (achieved when Bob Cratchit gets a long overdue raise in salary from Scrooge) would cure rickets and improve the TB, Dr. Chesney writes, so Scrooge’s generosity actually could make a difference in whether Tiny Tim lived or died. “We are not told whether he was fully cured, but he definitely survived,” Dr. Chesney notes. Dr. Ron Fouchier, one of the two researchers who developed and studied mutant forms of avian H5N1 influenza that’s transmissible through the air, provided new details of his findings at a conference this morning in Washington. He explained that the mutant virus is not nearly as deadly or transmissible as many people have supposed. This new information seems to be, at least in part, at the root of the different conclusions recently reached by the U.S. National Science Advisory Board for Biosecurity (NSABB) and by a group organized by the World Health Organization (WHO) on whether detailed methods of the H5N1 mutant research should be released to the public. During the past few days, the National Institutes of Health called on the NSABB to meet again to hear the new data and see if it would change the Board’s decision to keep the methods sections of the papers under wraps, Dr. Anthony Fauci said at today’s meeting. In addition, many people have had a second important misperception of the virus he’s studied: The H5N1 mutant strains he created are not highly lethal. “It’s very clear that H5N1 is highly lethal in chickens, but in mammals that’s not the case.” The mutant form of the virus will kill a ferret if you place a large dose of the virus—a million virions—directly into the animals lower respiratory tract. That kills the animal in about 3 days, he said. 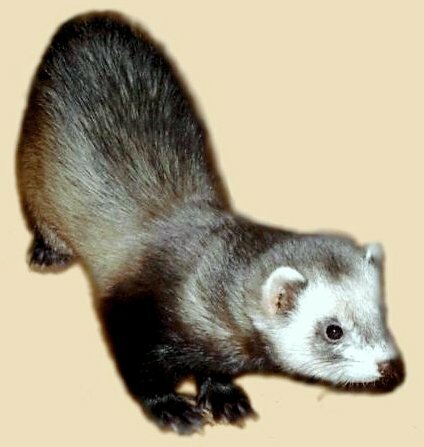 But if a more modest and typical inoculum gets introduced intranasally to a ferret, the animal simply gets a flu-like illness but recovers. “We saw no severe disease in any of the seven animals that received virus by aerosol,” he said. According to Dr. Fauci, director of the National Institute of Allergy and Infectious Disease, these clarifications from Dr. Fouchier first came to light earlier this month during a meeting on H5N1 convened by the WHO in Geneva. These new data, as well as the recommendations made by the WHO group, led Dr. Fauci to ask the NSABB to reconvene.